The Sounders are bringing back forward/midfielder Lamar Neagle and adding 6-foot-6 goalkeeper Calle Brown to the roster. This marks Neagle’s fourth stint with the franchise. Brown, a three-year pro out of the University of Virginia, joins following a successful preseason trial. He becomes Seattle’s third keeper, along with Stefan Frei and Bryan Meredith. Seattle has 27 players on the first-team roster. 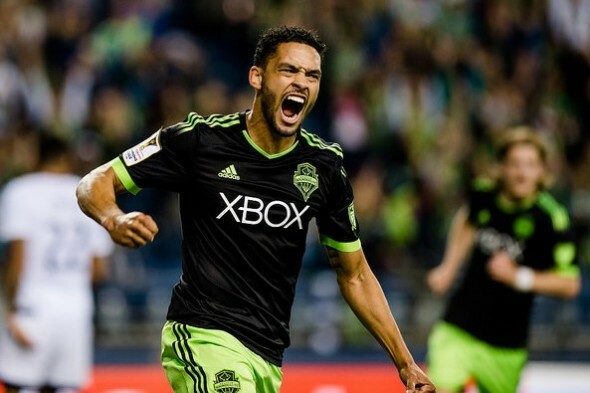 Neagle, 30, has 28 goals during his various stints, trailing only Fredy Montero, Clint Dempsey and Obafemi Martins, in 124 MLS appearances with the club. He re-joined the Sounders after a trade with D.C. United in August. He previously played in 2009, 2011 and 2013-2015. Brown, 25, spent the last two seasons with the Houston Dynamo, making 19 appearances for the club’s USL affiliate Rio Grande Valley FC Toros. The 6-foot-6 keeper won a collegiate national championship in 2014 at the University of Virginia, where he recorded 13 shutouts in 29 starts across two seasons. The club’s 10th MLS season begins March 4 at CenturyLink Field against expansion side Los Angeles FC.